The dead are walking. The dead are screaming. The dead are killing. Opening the Necropolis of Wati was a mistake. Undead hordes are streaming from the tombs, causing terror in the streets. Zombies. Ghouls. Mummies. Soon the dead will outnumber the living. 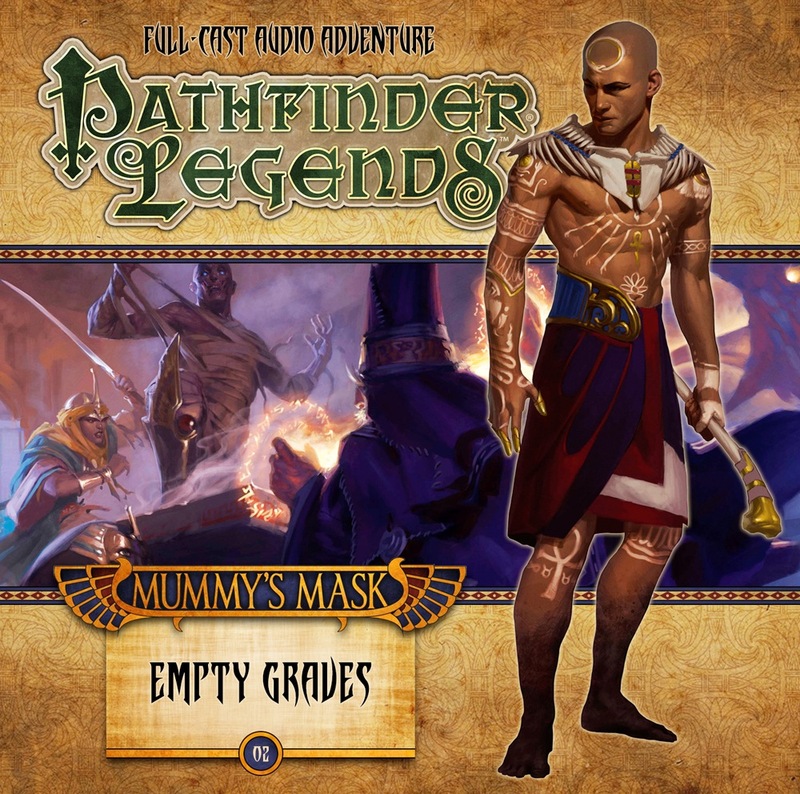 Valeros, Ezren, Harsk and Merisiel must find the Mask of the Forgotten Pharaoh. But can they trust anyone—including themselves? 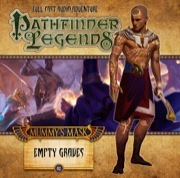 Note: This product is part of the Pathfinder Legends Subscription. A list of the Big Finish Productions products that you have purchased on paizo.com. A list of the Paizo PDFs you have on paizo.com that correlate to Big Finish Productions products. This information will be used solely to provide access to and pricing information for Big Finish Productions products. Contact Big Finish Productions for information about the authorization process and for product support. As part of this process, you will need an activation code from the partner page. Double CD and monthly Releases!!!! You know how to make me happy! Listening - good so far... Best line candidate: "That's too fresh... never like it when my supper talks back." There's a link to "download the sample" but it doesn't seem to work for me. Does it work for anyone? PDF is an error, I think. I suspect they cut-and-paste from some other subscriptions and that they meant to say you got a sound file as well as the CD. (You can access that by looking at the third "downloads" tab at the top of this discussion. I'm presuming you ordered your copy via your subscription).